Do you leave your VAT returns to the very last minute? Do you find accountants scary and intimidating? MJB, more than professional bookkeepers, offering support and reassurance for every client. Welcome to MJ Bookkeeping Services Limited. MJB provides more than just bookkeeping. We provide you with peace of mind and a trustworthy service as well as more complex services which you thought you could only get by using an accountant. We are a small bookkeeping business based in Aylesbury, Buckinghamshire with over 120 combined years of accounting experience and knowledge. Are you worried about getting your tax returns filed on time? If you feel this way then you need to turn to a bookkeeper. We are approachable and supportive and will try and help you as best as we can. Bookkeeping is fundamental for every business, from the smallest one-man band to the biggest corporations. Unlike the big companies you may not be in a financial position to employ a full time bookkeeper to help with your business, or you may find it more effective to outsource this service. Doing your own books may cut costs in the short term, but that may not be the case in the long run. Sometimes it isn’t straightforward, especially if you are using a software, it can be stressful and will either take away your time to focus on your business whilst you are trying to work out how to use it or take away your time outside of work to relax and you may end up with penalties and charges from the government if it has been incorrectly filed to HMRC, which can lead to hours spent on hold waiting to speak with someone. Take advantage of MJB, we have extensive knowledge of bookkeeping softwares and can deal directly with HMRC on your behalf for any queries. All you need to do is make sure that we get all the necessary paperwork when we ask for it. Using a bookkeeper leaves you with time to focus exclusively on your business, safe in the knowledge that your books are in totally safe, completely professional hands. A building company came to us who were struggling to meet deadlines for their VAT returns. We got to work straight away and managed to get them an £9000 rebate. They are still using MJB. We have been working with MJ Bookkeeping for 3 years and have always found them to be highly responsive, reliable, trustworthy and of course accurate. They are also very patient and easy to work with. We would definitely recommend their services. It’s so often heard by us by people trying to get hold of HMRC and spending what seems like hours on hold but not getting the answers needed or help required. We were contacted by a high earner who didn’t realise had to complete a tax return, they were being charged interest on a penalty they were unware of as they had recently moved and HMRC were sending letters to the wrong address. We dealt with HMRC on their behalf, meaning they didn’t have to spend any more frustrating time on hold, and managed to get the interest reclaimed. Director of MJB, Mary started the business from her dining room. She is a Quickbooks Online Consultant and has been a member of The Association of Accounting Technicians for over 10 years. Mary's favourite hobby is horse riding and enjoys riding out and competing whenever she can. Look out for the MJB logo on the horsebox! As the Office Manager some of Millie’s duties include supporting the team with all admin and pension duties. She enjoys spending time with her young family. 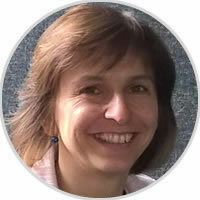 Eva has over 15years experience in bookkeeping and is qualified up to AAT level 4. 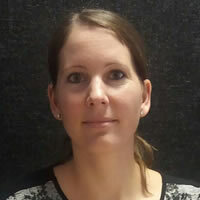 Eva joined MJB in January 2016 and is really enjoying the new challenge and continuously gaining valuable experience. She loves skiing and tennis although she has a young family who she loves spending the majority of her time with. Michelle was warmly welcomed to the MJB team in June 2016. 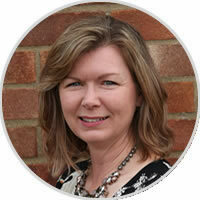 She has being working in accounts environment for over 15 years and has been a member of the AAT for over 10 years. Outside of the office Michelle spends her quality time with her young family and friends. 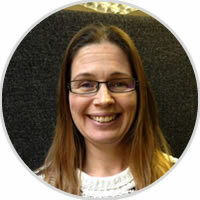 Kat has been a qualified member of the AAT for over 6 years and is keen to put her knowledge into practise at MJB. 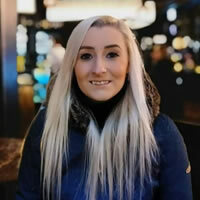 Kat has worked both independently as a bookkeeper and employed as an accounts assistant so has a great understanding of the industry. In her spare time Kat enjoys hiking and has some great stories to tell about the mountains she has climbed so far!